Rate applicable to family and friends. Fairmont Bab Al Bahr is a beachfront property situated in Abu Dhabi, with unrivalled views of a design masterpiece, Sheikh Zayed Grand Mosque. 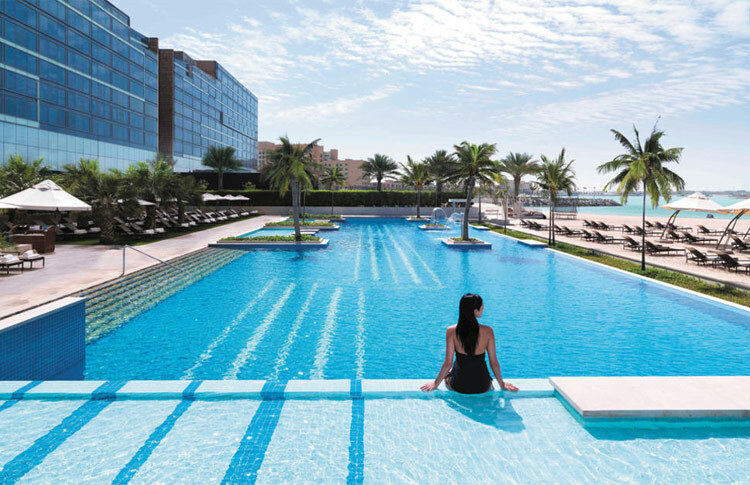 Located just a 45 minute drive away from Dubai, enjoy the best of both worlds at Fairmont Bab Al Bahr, the close proximity to a neighboring metropolis and Abu Dhabi attractions, including the first Ferrari theme park with the fastest roller coaster in the world, the Abu Dhabi Grand Prix race Circuit, and Yas Waterworld , the region’s largest waterpark.